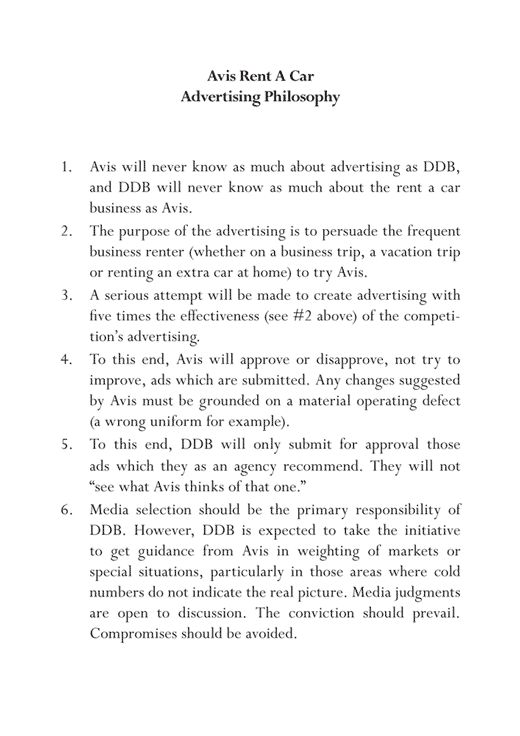 Avis launched its famous ‘We Try Harder’ campaign in the 70’s (see the examples in READ ME). This was the agreement with their agency, DDB. This entry was posted in Uncategorised on 2nd February 2016 by Gyles Lingwood.